Whether it’s a constant dripping in the middle of the night keeping you awake or a spike in your utility bills, you might be in need of pipe repairs. If you aren’t sure what the problem is, there are a few ways to troubleshoot before you give Master Plumbing a call. If there is something wrong, it’s important to schedule your pipe repairs before it means scheduling water damage repairs. What color is your water when you turn the faucet on? If it’s murky and you have a water filtration system in place or typically don’t have a problem, it might be a sign that you need pipe repairs. While murky water can mean that there is a problem with the municipal water system and not your own, it should always be taken seriously. Have you noticed rust on any of your pipes in the basement or bathroom? If you can see rust on the small portion of your pipes that are exposed, it’s a good sign that there is more rust elsewhere. Old and rusty pipes can burst, leak, and cause expensive problems if they are not replaced soon. The good news is that rusty pipes can be replaced quickly and easily, for one of the most cost-effective pipe repairs possible. Did you turn on the shower and receive a disappointingly soft stream of water? You might be dealing with low water pressure. When you have low water pressure, it can be difficult to get basic household tasks like washing the dishes and washing your clothes done. 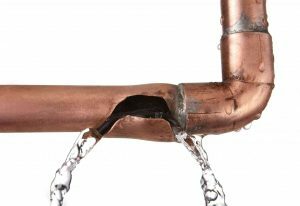 Aside from being an annoyance, low water pressure is often a sign that you need urgent pipe repairs and are dealing with a case of pipe failure. If you keep putting off the problem, your pipes might completely break and disintegrate. If you live in an older home that has seen better days, the pipes are often in need of pipe repair. If the home has its original pipes still, entire replacements might be necessary. As a rule of thumb, the older the house you are living in is, the more likely you will need to shell out money for pipe repairs in the future if you don’t replace them. Water stains are an alarming and urgent sign that something is wrong with your plumbing. Call Master Plumbing right away for pipe repairs before the damage gets worse and your home needs even more repairs. This entry was posted on Friday, November 3rd, 2017 at 6:10 pm. Both comments and pings are currently closed.